Former Pantera drummer Vinnie Paul Abbott has died at the age of 54. According to the Las Vegas Review-Journal, Vinnie passed away Friday in Las Vegas, where he owned a home. No other details of his death were immediately available. The drummer's passing was confirmed on both his personal and Pantera's Facebook pages, where an identical announcement appeared Friday night. 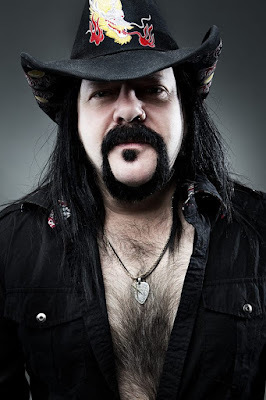 "Vincent Paul Abbott aka Vinnie Paul has passed away," the statement read. "Paul is best known for his work as the drummer in the bands Pantera and Hellyeah. No further details are available at this time. The family requests you please respect their privacy during this time."